South Carolina-licensed mental health counselors have a biennial license renewal with an August 31st deadline. Forty (40) hours of continuing education are required in order to renew a license. Out of the forty hours, twenty-five must be formal (live face to face), and fifteen can be obtained from home study. Accreditation accepted is Board Approved Provider #193. 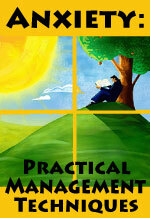 The pursuit of continuing education ensures the best possible standards for the mental health counseling profession. All licensees are required to participate in continuing education as a licensing condition. Professional Development Resources is approved by the National Board of Certified Counselors (NBCC) to offer home study continuing education for NCCs (Provider #5590). We adhere to NBCC guidelines. Professional Development Resources is also approved as a provider of continuing education by the National Association of Alcoholism & Drug Abuse Counselors (NAADAC, Provider #000279); by the Florida Board of Clinical Social Work, Marriage & Family Therapy, and Mental Health Counseling (Provider #BAP346); by theCalifornia Board of Behavioral Sciences (Approval #PCE1625); by the South Carolina Board of Professional Counselors and Marriage & Family Therapists (Provider #193); and by the *Ohio Counselor, Social Worker and Marriage & Family Therapist Board (Provider #RCST100501). South Carolina-licensed mental health counselors have a license renewal every two years with an August 31st deadline. Forty (40) hours of continuing education are required in order to renew a license. Of the forty hours, 25 must be formal, and 15 can be obtained from home study or informal. Accreditation accepted is Board Approved Provider #193. Data obtained from the South Carolina Board of Examiners of Counseling and MFT on August 7, 2013. Advising an older man about starting an exercise program . . . counseling a woman about the proper way to take her osteoporosis medication . . . discussing end-of-life care options with the family of a long-time older patient who is dying. These are just some examples of the complex and sensitive issues facing clinicians who treat older people. Health care providers who communicate successfully with older patients may gain their trust and cooperation, enabling everyone to work as a team to handle physical and mental health problems that might arise. Effective communication techniques, like those discussed in this handbook, can save time, increase satisfaction for both patient and practitioner, and improve the provider’s skill in managing the care of his or her patients. 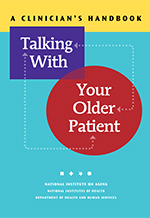 Ongoing communication is key to working effectively with your older patient. If a patient does not follow recommendations or starts missing appointments, explore whether or not a difficulty in communication has developed. Paying attention to communication increases the odds of greater health for your patient and satisfaction for you both. 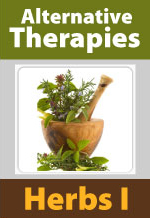 The National Institute on Aging is part of the National Institutes of Health, which is part of the Federal Government. Scientists at the NIA help to improve the health of older Americans through research. 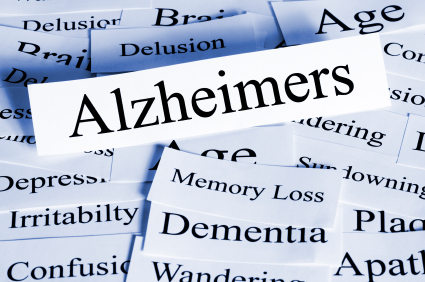 The NIA provides the Alzheimer’s Disease Education and Referral (ADEAR) Center. The Center offers many free booklets, including this guide. Professional Development Resources has released a series of new online courses on school-based assessment and treatment of children in need of special services. The Florida company, which is accredited to provide continuing education to psychologists, school psychologists, social workers, counselors, marriage and family therapists, speech-language pathologists, registered dietitians and occupational therapists, has announced new courses addressing issues that will be occupying school professionals as the new school year begins. 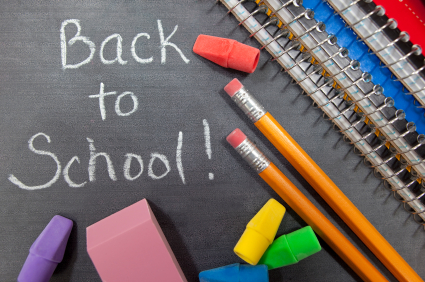 The new continuing education (CE) courses are intended to equip school-based professionals with the tools they need to deal with back-to-school issues they are sure to encounter in the coming months. Among the new courses are topics providing up-to-date information on autism spectrum disorders, school refusal behavior, reading and literacy interventions, and the developmental effects of alcohol on children and adolescents. In the coming weeks, millions of children will return to school for the new academic year, many of them bringing not only pencils and books, but also a wide range of difficulties for which they will need attention from school-based professionals. Those with autism spectrum disorders will present learning and social behavior issues that can overwhelm teachers already challenged with overcrowded classrooms. Others may be suffering from the severe anxiety and avoidant behaviors that are part of school refusal patterns, posing major challenges for both parents and school professionals. Still other children will require screening and intervention for a wide variety of learning and developmental disorders, including those who will need specialized assistance with literacy and reading. The need is great. In the case of autism spectrum disorders (ASD), the most recent research data from the Centers for Disease Control and Prevention’s Autism and Developmental Disabilities Monitoring (ADDM) Network found that 1 in every 110 eight-year old children were diagnosable for an ASD. This is a very large number of children, and the incidence of autism seems to be on the rise. School refusers are students who can’t – or won’t – go to school, for any number of reasons. Researchers offer a “best guess” that somewhere between 5% and 28% of children display some aspect of school refusal behavior at some point in their lives. This is a wide range, attributable to variations in the definition of school refusal. Again, this is a very large number, and the behaviors associated with school refusal are so challenging that they can monopolize the time of parents and teachers alike. Professional Development Resources is a Florida nonprofit educational corporation founded in 1992 by licensed marriage and family therapist Leo Christie, PhD. The company, which is accredited by the American Psychological Association (APA), the Association of Social Work Boards (ASWB), the National Board for Certified Counselors (NBCC), the American Speech-Language-Hearing Association (ASHA), the American Occupational Therapy Association (AOTA), and the Commission on Dietetic Registration (CDR) of the American Dietetic Association (ADA) – as well as many other national and state boards – has focused its efforts on making continuing education courses more cost-effective and widely accessible to health professionals by offering online home study coursework. Its current expanded curriculum includes a wide variety of clinical topics intended to equip health professionals to offer state-of-the art services to their clients. 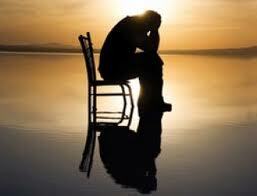 Alzheimer’s currently affects one in 10 people over age 65 and nearly half of those individuals over 85. With such an outlook, it’s imperative that healthcare professionals stay current on the research and best practices for treatment and caregiving. South Carolina-licensed Counselors and MFTs license renewal deadline: August 31, 2011. South Carolina-licensed Counselors and MFTs are required to complete 40 hours of continuing education during each two-year licensure period. Licenses must be renewed by August 31, 2011. 25 hours must be “formal” and involve face-to-face instruction. Professional Development Resources is approved by the National Board of Certified Counselors (NBCC) and by the South Carolina Board of Professional Counselors and Marriage & Family Therapists (Provider #193) to offer home study continuing education for NCCs (Provider #5590). This is a web-based course requiring an internet connection to access the online reading materials. Course instructions provide a direct link to the public-access online document. 1 hour CE for only $9! 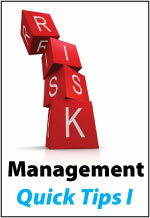 This new online continuing education course addresses a variety of risk management topics in the form of seven archived articles from The National Psychologist. Social Networking: How Should Psychologists Respond to Online ‘Friending’ Requests? Therapists who choose to use social networking and other electronic means as a way to exchange information with clients must deal with the multitude of confidentiality issues and other risk management questions created by doing so. This article reviews the confidentiality, legal and ethical issues involved. The purpose of this article is to acquaint early career psychologists and those who may be confused about insurance with an important issue to consider when shopping for professional liability coverage: What type of insurance should you buy? This article provides suggestions and considerations for what to (and not to) write in your progress notes. For most psychologists, professional licensure is a prerequisite for their livelihood and professional identity. Most of us know psychologists are in “double jeopardy” when it comes to practice vulnerability. Malpractice lawsuits and complaints before state licensing boards can drastically restrict a psychologist’s ability to practice. This articles reviews the issues and offers suggestions. These articles discuss the use of creative billing, to include creative diagnostics, in order to provide marital therapy under an insurance plan. School refusal is a problem that is stressful for children, for their families, and for school personnel. Failing to attend school has significant long and short-term effects on children’s social, emotional, and educational development. 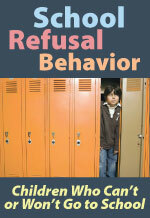 School refusal is often the result of, or associated with, comorbid disorders such as anxiety or depression. Careful assessment, treatment planning, interventions, and management of school refusal are critical to attainment of the goal of a successful return to school as quickly as possible. Interventions may include educational support, cognitive therapy, behavior modification, parent/teacher interventions, and pharmacotherapy. George B. Haarman, PsyD, LMFT, is a Licensed Clinical Psychologist and a Licensed Marriage and Family Therapist currently in private practice. He received his doctorate in clinical psychology from Spalding University and is a member of the American Psychological Association. Dr. Haarman has been an instructor at Jefferson Community College, Bellarmine University, and Spalding University. He has presented seminars regionally and nationally on psychopathology, depression, and emotional disorders in children and adolescents. Dr. Haarman serves as a consultant to several school systems regarding the assessment of children. His prior experience includes working with youth detention centers, juvenile group homes, child protective services, and juvenile probation.